It seems that more and more people are falling in love with the gentle giant gecko, known as a “leachie” (Rhacodactylus leachianus). Now, leachianus geckos were never my favorite gecko, as they were always way too expensive for me to purchase for my collection, but lately, I’ve really gotten into these guys. I fought it off for months, but for those months, I tortured myself, browsing the many threads on various reptile forums that had pictures of these giant geckos. I read stories and watched YouTube videos about how these geckos behaved, and I just couldn’t get over the green base and white and pink blotches that cover their bodies. Plus, they’re big! I broke down and bought my first leachie, which is a Nuu Ana x Isle E mix, and within a few weeks I had purchased a pure Nuu Anna. Now a few months into my leachianus gecko collection, I have 5! What attracts me to these geckos? Well, it’s simple. They are docile, calm, and big. For many people, the size is not a good thing, but as long as you have the space, these guys are awesome geckos to add to any reptile collection. Lifespan: Thought to be between 20-30 years. 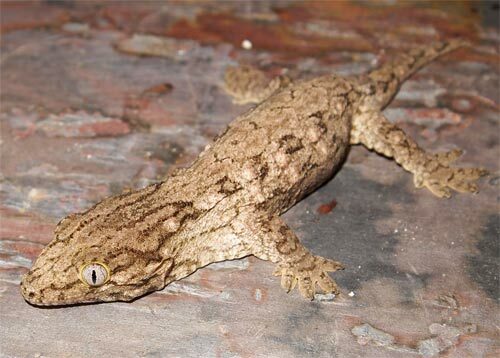 Housing: These geckos are very territorial so they are best when housed individually, whether you have a male and a female or two females, and definitely don’t try to house two males together, as it may end in a catastrophe. Since these geckos can get rather large, you want to be prepared for a larger enclosure. Some keepers may recommend an 18”Lx18”Wx18”T for the leachies from smaller locales, like the Nuu Ana, but a Grand Terre locale leachie will be a little cramped and will prefer an enclosure that’s at least a 24”Lx12”Wx16”T. If you’re starting off with a younger leachie, you won’t need to worry about that large adult enclosure for some time. Babies and juveniles will live just fine in appropriately sized kritter keepers and storage totes for up to a year in some cases. I house my year-old Isle of Pine female in a 22 quart storage tub, and she’ll be perfectly fine in that for some time to come, but as an adult, this female will need something much larger, so if you plan on getting into leachies, it’s highly recommended that you keep into consideration the locale, as each locale varies in size, and the space that you have available. Décor: Leachianus geckos aren’t the most active geckos, but you’ll need to make sure to provide plenty of sturdy décor for these heavier bodied reptiles. You can pretty much use anything from cork bark slabs and hollowed rounds to PVC. My leachies seem to like plain cork bark slabs the best; I’ll find them camouflaged on their cork bark in all directions, including hanging upside down. 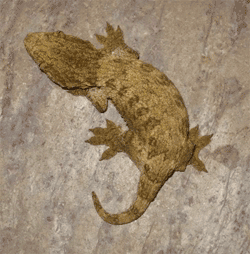 Substrate: Paper towels are best used for younger geckos and even adults, but some keepers prefer to use a coconut coir or peat moss for adult geckos. Personally, I feel that a solid substrate is safer to prevent impaction, but if you’re going to use a loose substrate, you’ll want to make it at least 1-2 inches deep. Humidity and Temperature: When it comes to setting up the right environment, you have to have proper humidity levels and a temperature gradient. You want the humidity to range between 50-80%, and the temperature will be fine around 75F. 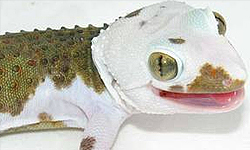 Feeding and Diet: When it comes to diet, these big geckos are happy to eat a bowl of Repashy Crested Gecko Diet. Younger geckos will sometimes chomp on crickets, but I’ve noticed my older leachies won’t pay much attention to the crickets. I think it’s a good idea to offer the crickets while they will eat them, as this helps with protein intake and consumption. In general, the Repashy CGD is the essential diet that provides vital nutrients to most rhacodactylus geckos, to include leachianus geckos. Even though my initial reaction to the geckos is that they’re not bright and colorful like so many crested geckos and leopard geckos, these guys make up for it in personality and temperament. Leachianus geckos have become one of my favorite gecko species, and I’ve had seven different gecko species since I’ve started keeping reptiles. As my own personal disclaimer, I wouldn’t recommend these geckos to everyone as they do require a good bit of space. And, if you are thinking about getting a leachie, you should be aware that although they are generally pretty docile, they can show major attitude at times and show cage aggression. I haven’t experienced any bites from my guys, but I have seen photos showing some pretty nasty finger and hand bites. This is definitely a caution to consider. 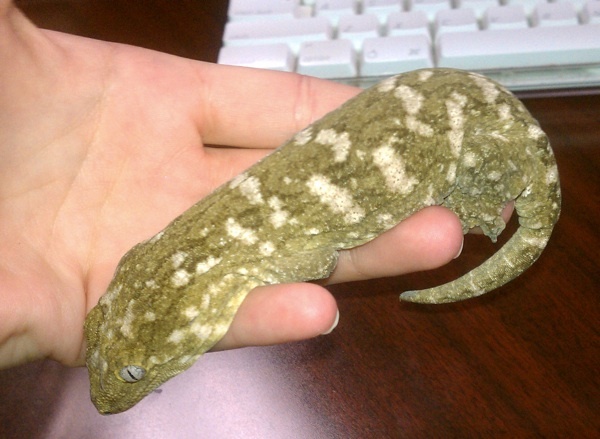 As an adult the New Caledonian Giant Gecko is a highly territorial gecko. While the young are docile and pose no threat the temperament changes as the females and males mature. 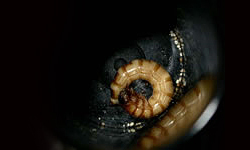 In my experience all my females have been calm, docile and easy to work with until they dropped their first clutch of eggs or hit the two-year-old-mark. Be careful reaching into the enclosure when they get close to this age. Watch for the warning signs that an awake and alert Giant Gecko will use such as a defensive stance, whistles and hisses. 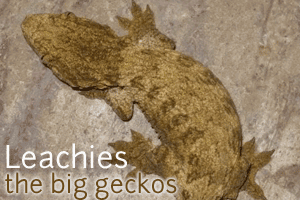 This is a great article on Leachies, the big geckos. I can’t think of anything you might have not covered except where is the best place to purchase a leachie. Thanks Whitney for this very informative article. @Leif Thanks for the great insight, wonderful comment! 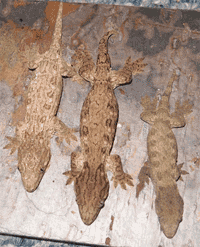 @Whitney Thanks for writing for us, we’re happy to publish an article on the big geckos! I am falling for these gecko’s to. 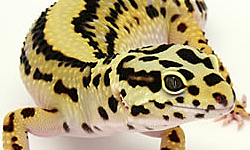 Lately i have been really thinking of buying one, just like leopard and cresties i did not like them at first. But now i am totaly in love whit those beauty’s. Their big, their gecko and their cute, what else do you want? Great article and care guide!!! Hi! Loved the information here! Thanks! I just got my 1st Leachie last week – he/she’s about 3 months old and I’m over the moon about him! =) My question is handling! I try to take him out of the enclosure once a day. If he seems to be okay with it, I let him lay on my chest for as long as he wants…if he gets fired up (puffs out his neck) then I put him back. I’m just nervous that I”m not doing this right! I’ve seen lots of scary stuff out there about angry Leachies and I want to make sure I do right by this guy =) If anyone has any ideas to go about taming a Leachie the “right way”, please respond! Thanks!! It is not true to label all Leachies docile. There are some very aggressive individuals – especially mainland locales. The temperament can vary significantly. I’ve had my leachianus one week now just coming into its 4 month age wise… Can wait to learn more and be around these amazing creatures. My son is interested in a leachie. He’s had a geckos for a couple of a couple of years now. Can you provide any insight on how to get started? Also, what’s the average cost? Is it better to start with a baby, juvenile, or an adult? Your best bet is to google “leachie care”. Also check out Steve Cimelli’s website Leapin’Leahchies. Here’s the link to his articles (his name for leachies is “new Caledonian” giant geckos): http://leapinleachies.com/articles.htm. There are 2 articles worth reading in his short list. I paid $300 for a mixed locale leachie about 8 years ago. The mixed locale leachies are a bit cheaper and every bit as good if you’re not planning to breed for a specific locale. If there’s a reptile show in your area, see if you can find one there. You can also get one from the website I mentioned above. That’s where I got mine and I highly recommend him. Let me know if you have any more questions.